European Auto Plus has been servicing the Virginia area for 15 years with the finest and most trustworthy automobile repair in the industry. The Automotive Service Excellence (ASE) certification is awarded to auto mechanics that have successfully completed and passed rigorous testing by the National Institute for Automotive Service Excellence. Our expert technicians are also enthusiasts that love and drive European Cars. We provide service to local dealers!. Get hands on and inspect your vehicle with the technician to diagnose the problem. WE ARE A COMPLETE AUTO SERVICE SPECIALIZING IN EUROPEAN CARS. We invite you to come in for any car troubles and experience the maximum in automobile service satisfaction. We offer a free pick-up/drop-off service within a 2-mile radius (this includes Van Dorn Metro Station). We offer better than fair pricing and extended warranty work. European Auto plus only source you will need to service all the needs of your car. 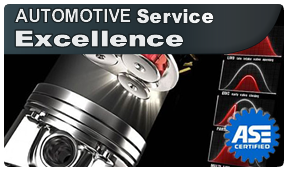 We employ only senior level ASE technicians who utilize the latest technology to diagnose and service your vehicle. Loaner cars are available while we service your car. (see store for details) Make European Auto Plus Your Mechanic! !